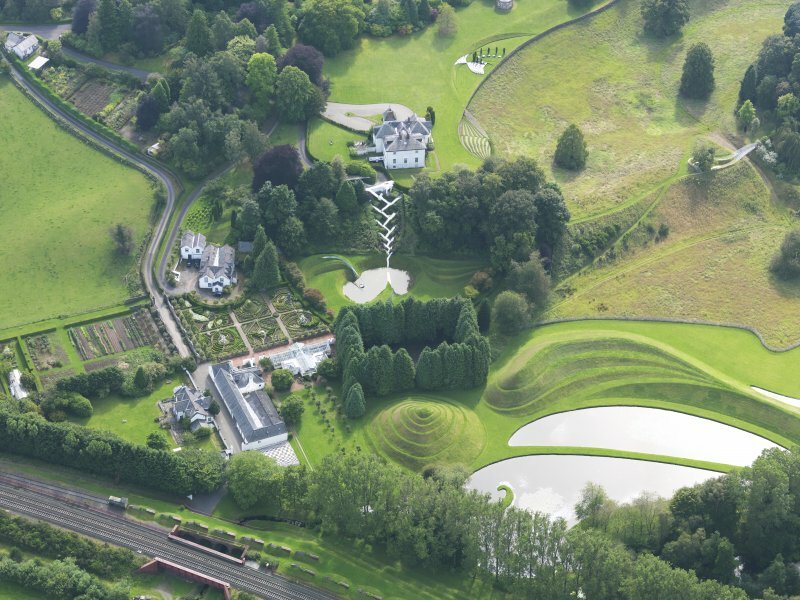 Oblique aerial view of Portrack House and gardens, taken from the NNE. 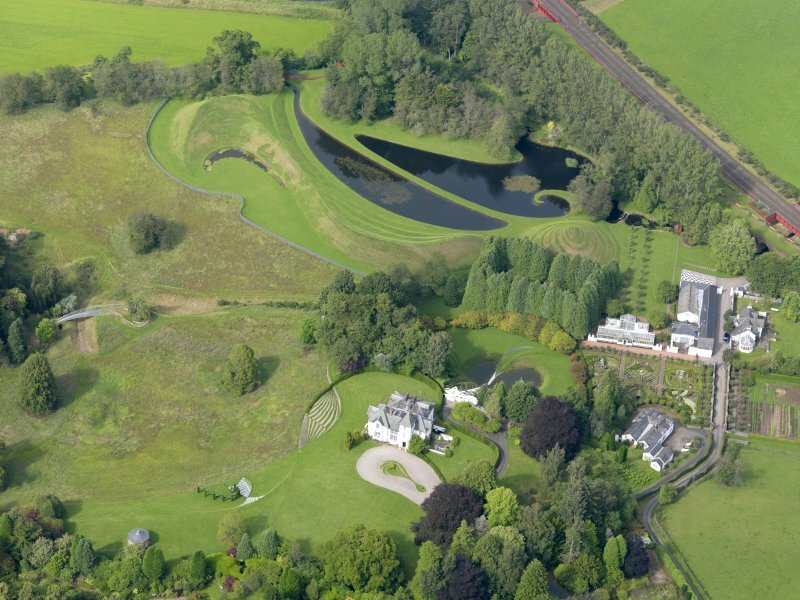 Oblique aerial view of Portrack House and gardens, taken from the SSW. 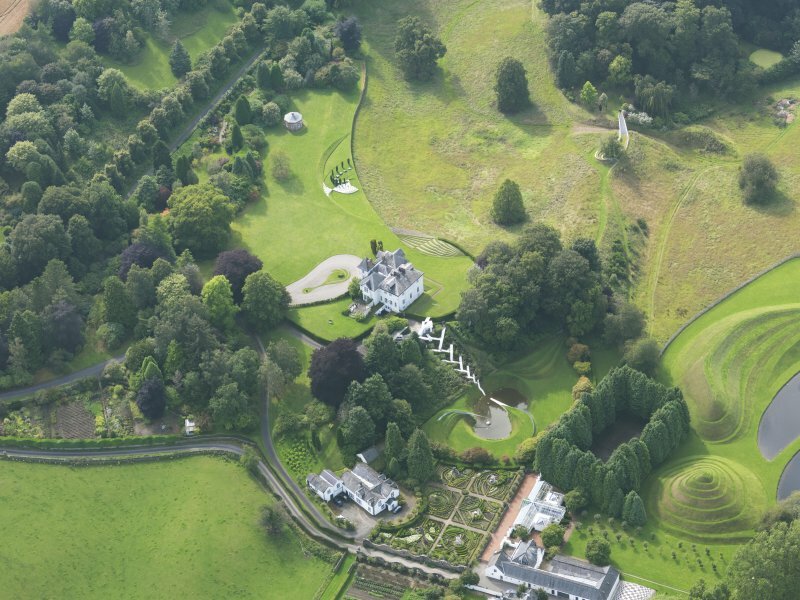 General oblique aerial view of Portrack House and gardens, taken from the SW.
Oblique aerial view of Portrack House and gardens, taken from the E.
Oblique aerial view of Portrack House and gardens, taken from the SSE. 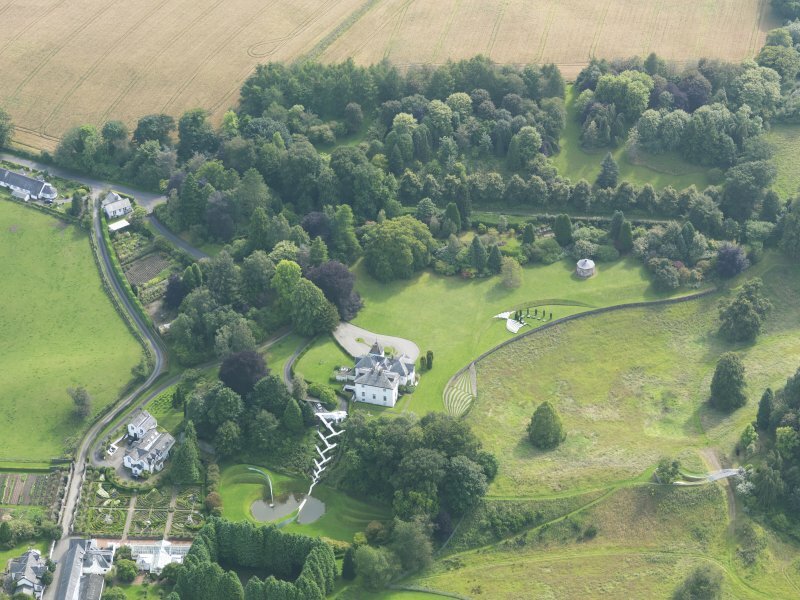 Oblique aerial view of Portrack House and gardens, taken from the S.
Oblique aerial view of Portrack House and gardens, taken from the NE. 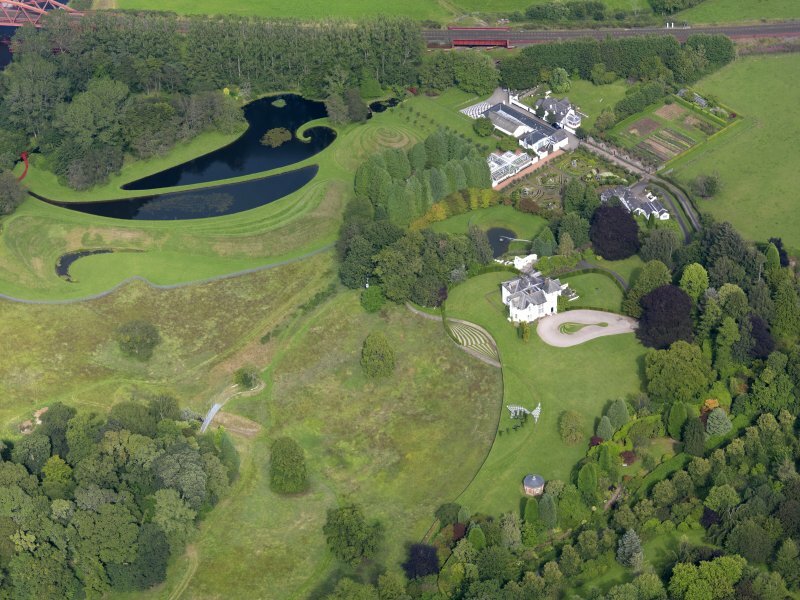 Oblique aerial view of Portrack House and gardens, taken from the ESE. 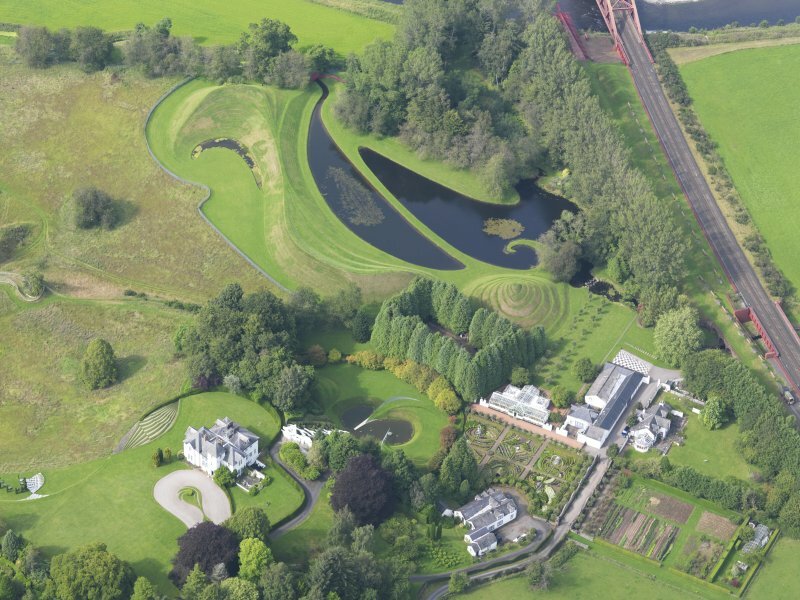 The remains of Portrack or Portract castle consist of a fragment of masonry, 12 feet high, 8 feet 6 inches long and 4 feet thick, which formed the south-west angle of a keep, defended to the north and east by a burn, and to the south and west by an artificial ditch. 'Porterak' and 'Portrack' are mentioned in 1588 and 1602 respectively. 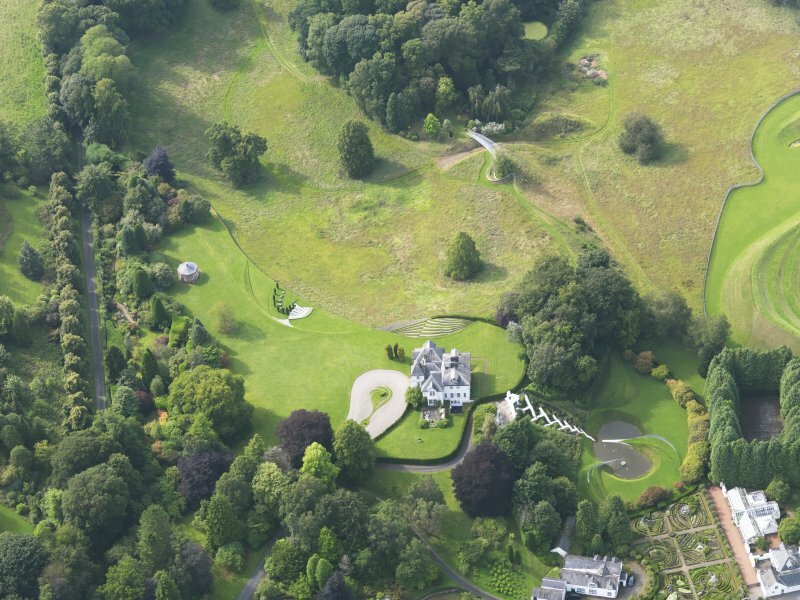 According to J K S St Joseph, 1949, a small, part-enclosing earthwork to the north, east and south of the castle remains is 'quite distinct' (presumably on APs). The fragment of masonry described above has collapsed leaving only a featureless block of rubble masonry up to 1.0m high. The building outline can no longer be discerned. Dense undergrowth may have obscured the earthwork mentioned by St. Joseph which could not be identified. 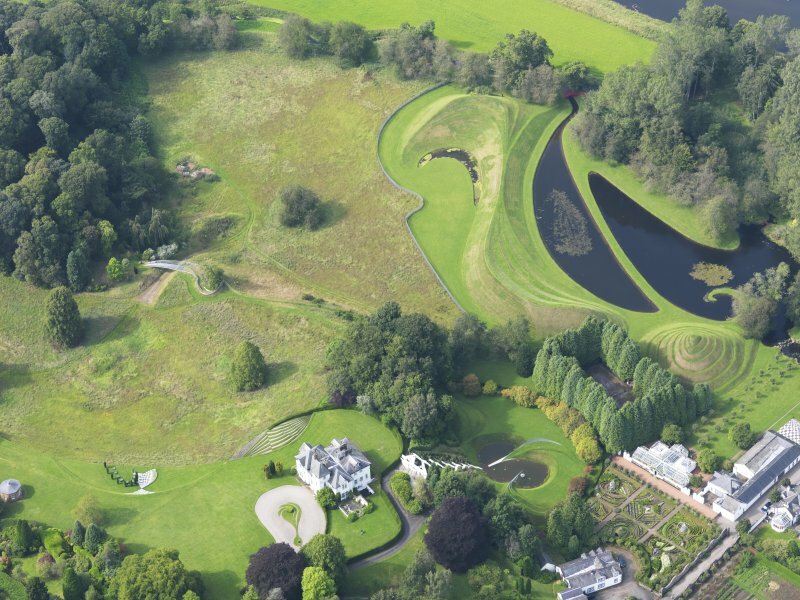 The field to the South of the castle contains many old water channels of the River Nith and no feature there could be certainly identified as an outwork of the castle. 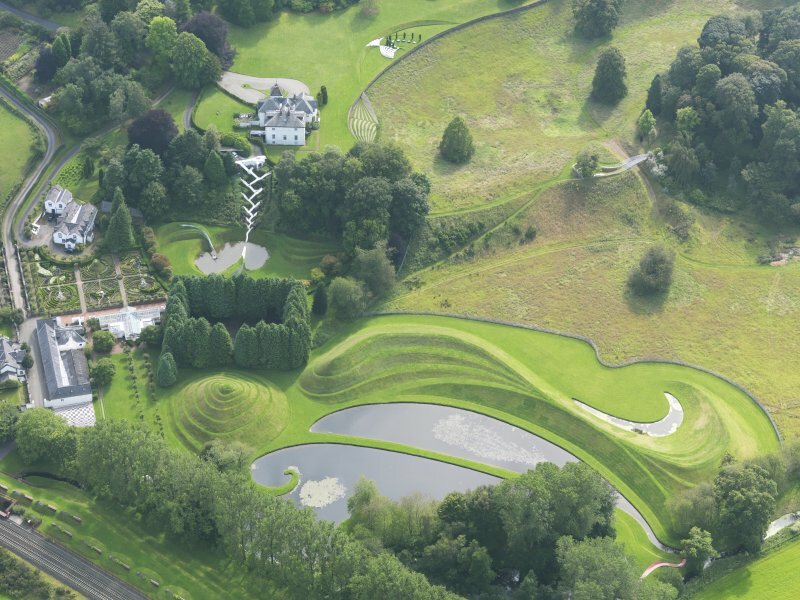 The feature shewn on OS 25" as a ditch to the SW of the castle and extending westwards could not be seen. A ditch 0.4m max, depth and up to 8.0m wide immediately West of the castle site is probably the remains of the artificial ditch mentioned by RCAHM. Visited by OS (RDL) 25 June 1964.